Allegiant Air says a Federal Aviation Administration audit of its operations has turned up several "minor" issues. The findings were "minor with non-regulatory issues observed, or with non-systemic regulatory issues observed,” the airline said. 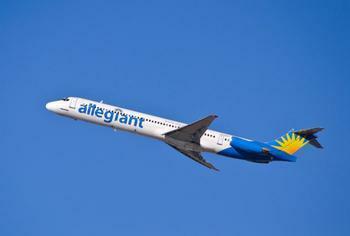 Allegiant said it has already taken steps to address each issue as soon as possible. The FAA said its audit discovered "several element design" and "element performance deficiencies." The audit, called a Certificate Holder Evaluation Process, is conducted regularly for all commercial carriers. Teamsters Local 1224 president Daniel Wells said the issues may not be all that minor. “The safety issues that Allegiant Air pilots and passengers experience are well-documented. The full FAA report hasn’t been released, but even the redacted summary that Allegiant Air released indicates that the FAA found several problems with Allegiant’s maintenance operation," Wells said in an email to ConsumerAffairs. "We have to wonder what kind of findings it would take for the FAA to take strong enforcement action. On the surface it appears that Allegiant passengers and crews deserve better from the FAA." Local 1224 represents Allegiant pilots. The FAA said that none of the issues were "systemic regulatory problems," which it said are the most serious category of deficiencies and said it will "closely monitor" Allegiant's efforts to clear up the problems. Las Vegas-based Allegiant operates 82 aircraft and flies mostly from smaller airports to vacation destinations in Florida and the Southwest. Allegiant went through a contentious labor negotiation with its pilots last year. At one point, the pilots threatened to strike and alleged that the airline was cutting corners at the expense of safety. In a subsequent lawsuit, pilot Jason Kinzer said Allegiant Air fired him for "not placing company profits above safety."